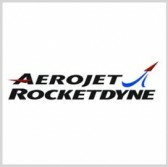 Aerojet Rocketdyne has opened its Advanced Hydrocarbon Propulsion Development Office in Huntsville, Alabama, which will be led by Jerrol Littles as the office centralizes the company’s hydrocarbon technology research and development operations. Scott Seymour, president and CEO of Aerojet Rocketdyne’s parent company GenCorp, said Tuesday that AHPDO will integrate the firm’s R&D and production capabilities as it aims to bolster rocket engine development in the U.S.
One of the main projects of AHPDO is the development and certification of the AR1 advanced large hydrocarbon rocket engine, particularly the integration of related work across other facilities. Aerojet Rocketdyne said its sites in California and Florida will perform engineering, manufacturing and initial assembly, followed by engine final assembly and testing at the Stennis Space Center in Mississippi then final assembly of the main propulsion system in another site in Alabama. The company highlighted what it called the strategic location of AHPDO as it works with partners Dynetics, Teledyne Brown Engineering and the National Institute of Rocket Propulsion Systems. “Making Huntsville home for this new advanced hydrocarbon propulsion development office is a logical extension of our company’s growing presence in the Huntsville community,” said Warren Boley, president of Aerojet Rocketdyne.